Paris Texas Historic Monuments: Confederate Monument, Culbertson Fountain, World War I Memorial. 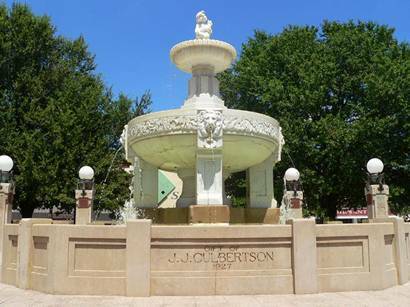 A gift to the city by Paris businessman/ philanthropist J. J. Culbertson, this Italian marble fountain was meant to commemorate the city’s rebirth after the 1916 fire that destroyed most of the city. 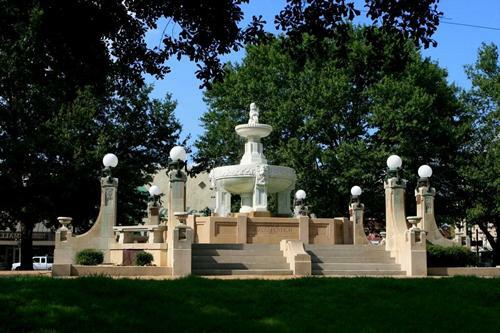 Designed by St. Louis architect J. L. Wees, it is said that it was inspired by fountains the Culbertson family had seen while in Italy. The fountain took three years to assemble (1924-1927). 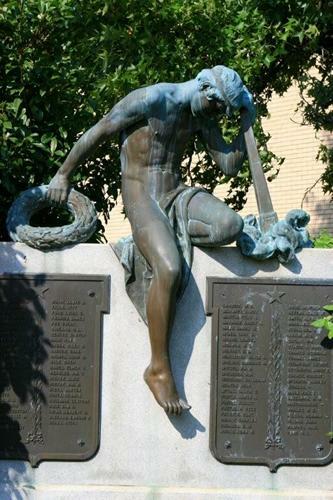 Honoring the Lamar County men who died in “the war to end all wars,” this unique design is a somber memorial compared to the more common “Doughboy” statues seen around the United States. The extinguished torch symbolic of young lives cut short. Also designed by architect J. L. Wees, who did the beautiful Gothic R. F. Scott building on the square and the Scott Mansion (said to be the only Art Nouveau mansion in the United States). Funding for the memorial was also by J. J. Culbertson. Second in size only to the Confederate Monument on the grounds of the Texas Capitol, this monument was the first commissioned work of Italian-American sculptor Pompeo Coppini. 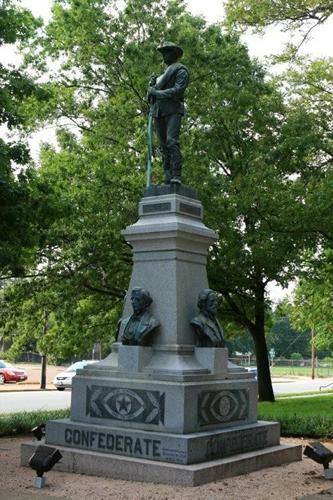 The familiar figure of the generic Confederate soldier stands above the busts of four champions of “The Lost Cause.” Jefferson Davis, Robert E. Lee, Stonewall Jackson and Texas’ own Albert Sidney Johnston. 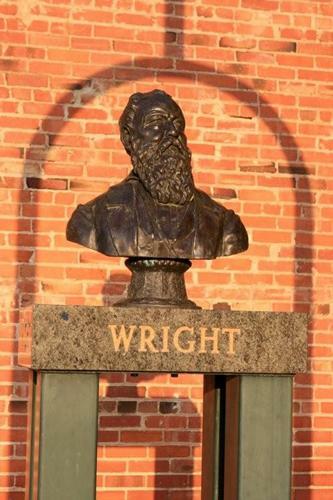 Although this article is entitled three historic memorials; we are including the bust of Paris' founder, a modern work of a historical figure.